« Meet _enable_NUMA_support: The if-then-else Oracle Database 11g Release 2 Initialization Parameter. Oracle Database 11g Direct NFS Clonedb Feature – Part I. Database Clones Without Storage Snapshot/Clone Technology? Yes, Of Course! You Knew That, Didn’t you? Do you have NFS mounts? Do you have DNFS enabled? Do you have an RMAN backup? Do you want to quickly and simply provision fully read/write database clones for development/test purposes? Do you generally provision development/test instances using your vendor NFS snapshot/clone technology? Do you find it too cumbersome to set up development/test clones using your vendor snapshot/clone technology? If you say yes to most of these then you’ll appreciate the clonedb feature. Database Clones Without Storage Snapshot/Clone Technology? This is Part I in the series so at this stage I’ll clearly point out that with Oracle Database 11g Direct NFS clonedb functionality you can create a fully read/write clone database without storage snapshots or clones. Moreover, the clonedb feature is a thin-provisioning approach. I’m excited about this feature. In terms of administrative effort, it is by far the easiest way to provision clones for development/test instances that I am aware of. In my assessment it is simple, stable and it performs. I don’t get to say that as often as I’d like to about technology. AWESOME! Thanks for this, Kevin: it’s gonna have direct relevance to us in the next 6 months! Glad to hear it! And, as always, thanks for stopping by. This is great! Glad to see someone who knows his stuff is talking about this topic. As always very useful stuff. A thin-provisioned clone of the backup is brilliant. I know a fair number of customers that struggle managing Dev/QA environments and this will definitely be part of solution. Extremely useful post – thanks, Kevin!!! Excellent post, presentation and demo. Thanks for stopping by and the kind words! Very good blog. I noticed your RMAN backups are image copies so I assume your doing incremental Merge backups of the prod DB. What happens to the clone when the prod backup updates those image copies? Would it be possible to get the files in another format other than MP4? Perhaps uploading to YouTube or something? cool feature.. Waiting for 2nd part.. Need to know more how it works. we are using 11.2.0.2 with direct NFS …! Thanks for such a nice discription. it seems the presentations can’t be downloaded any more. Are they available elsewhere? The download limit expired. Please try again. I apologize. Again the download limit is on for the first video presentation. Could you release it? It should be working now. If not, post the URL in a reply. 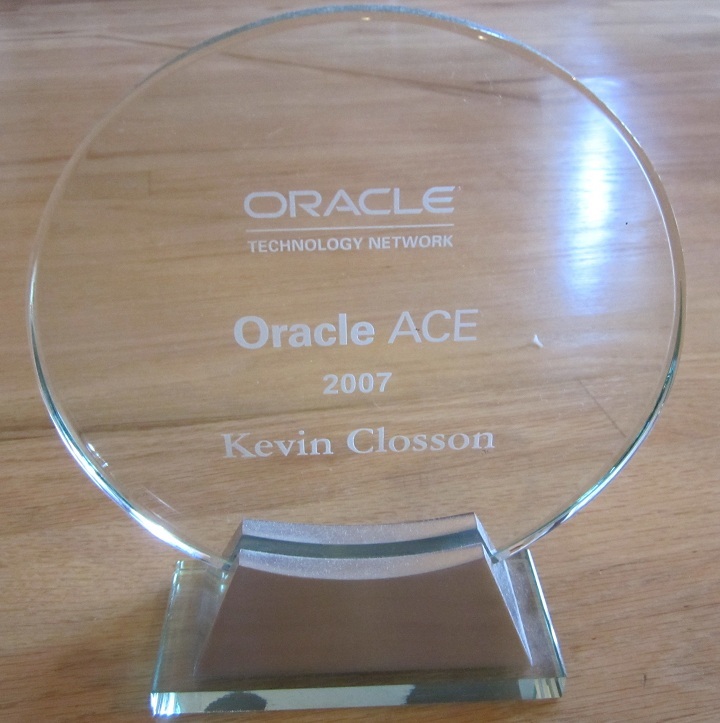 2) One of the early technology innovators at Delphix was Boris Klots who I worked with closely on Oracle’s performance regression engineering efforts while I was in Sequent Advanced Oracle Engineering. At the time, Oracle did all Oracle Parallel Server performance regression testing on clustered Sequent hardware (no surprise since it was the dev platform for the first Unix release of OPS). 4) I nudged by fellow Oaktable Network friend Kyle Hailey to give Delphix a call. Kyle is doing performance engineering now at Delphix. …that about covers it 🙂 It is a ******really***** small world. Great notes and videos – just upgraded so this is next on my list to try out. You make it look so simple – Thanks! hi kevin – the download limit is on for both presentations – could you release those? @Jeff: oops, let me see what I can do. Should be fixed now…give it a try.